There are no shortage of great place to take your kids in Kamloops and the surrounding areas. While the usual places include Riverside Park, Albert McGowen Park and other local parks and playgrounds, every so often it`s nice to take them somewhere special for a fun family bonding day. Here are some great kid approved places. 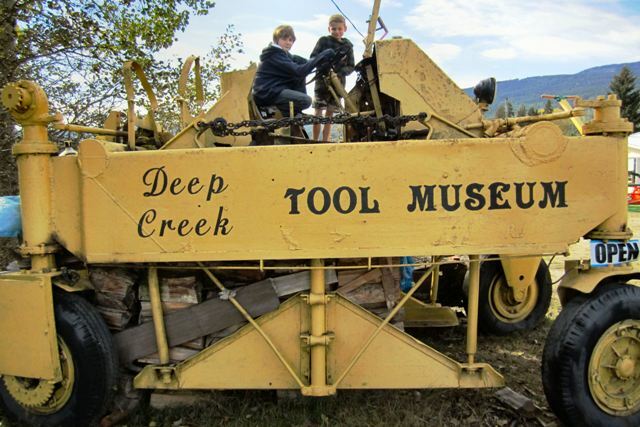 Herb Higginbottom`s Deep Creek Tool Museum provides a fun experience for the whole family. Parents and grandparents will enjoy revisiting tools that have long been out of daily operation while kids will love Herb`s hands on demonstrations. This Halloween rather than getting a pumpkin from the store, why not head out to Pete's Pumpkins and hand pick your next soon to be Jack-O-Lantern? Every fall the kids of Kamloops descend on this large pumpkin patch near Chase for hayrides, pumpkin pickin' and good ole farm family fun. There is nothing toddlers love more than cute little farm animals. 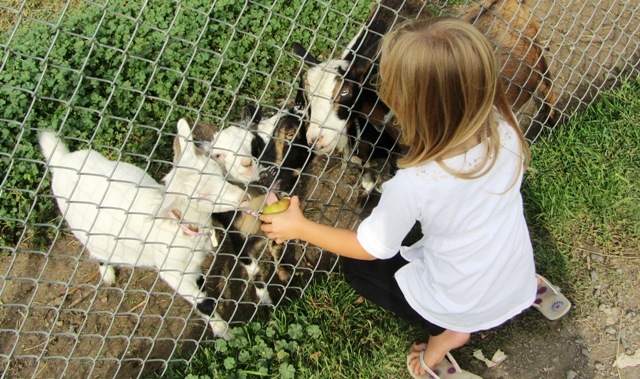 At Westsyde Centennial Park the kids can feed the animals through the fence and interact with a variety of different goats, birds, pigs, you name it. And if they ever get bored of that they can go play in the park. 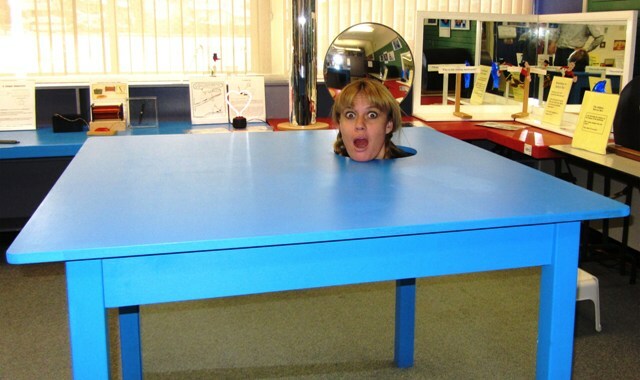 Who says science isn't fun, certainly not the folks at the Big Little Science Center. Former high school science teachers transformed an elementary school into one big fun science experiment. Make huge bubbles, look into a kaleidoscope mirror and lose your body at the head table. It will be an afternoon to remember. Much more than just an apple orchard, this fun family place warns people not to leave their children unattended in the play area or they will be served coffee and promised a bunny. 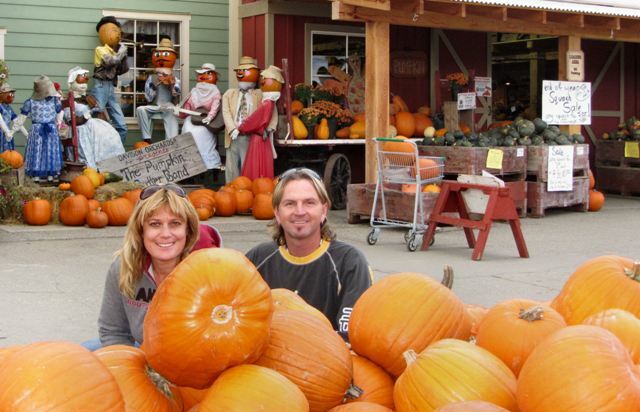 Fall is a particularly fun time to visit because that's when the pumpkin head people take over the village! For a quarter you can buy some corn nuts and put them into a can. One of the goats working the top of the goat walk will no doubt wheel the can up, eat the treat then lower the can for more. When you run out of quarters there is much more to explore including dinosaurs, wagons, teepees and a pond with swan boats. There are very few things that fascinate kids more than trains so why not take your kids on the ultimate train ride this summer. 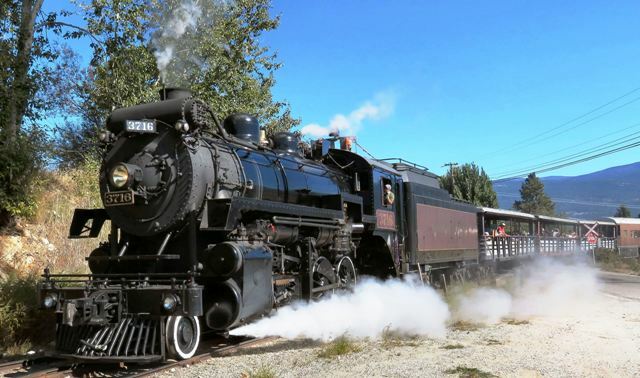 Ride an authentic steam powered train along the only preserved section of the Historic Kettle Valley Railway. 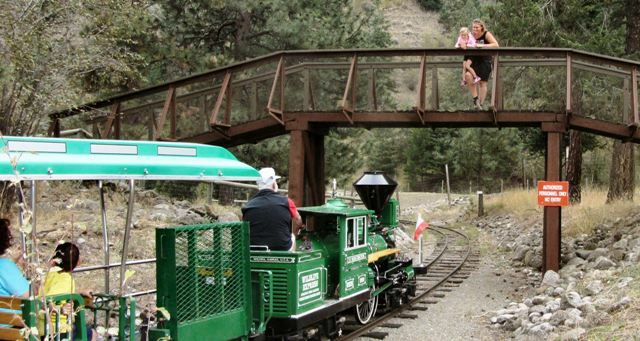 A steam powered train rolls along the only preserved section of the historic Kettle Valley Railway. Fly over a canyon above the rapids of the Fraser River in an air tram to a little village where you can learn a little history, have lunch and watch the rapids from a pedestrian bridge. Hell's Gate is a family adrenaline rush. With their new addition, a real life spirit bear, Kamloops Wildlife Park is a great way to spend the day with the family. Rent a wagon and cart the kids and a picnic around the park to the waterpark and play area, take a hike to the secret waterfall and ride on the miniature train all while visiting some amazing rescued animals. 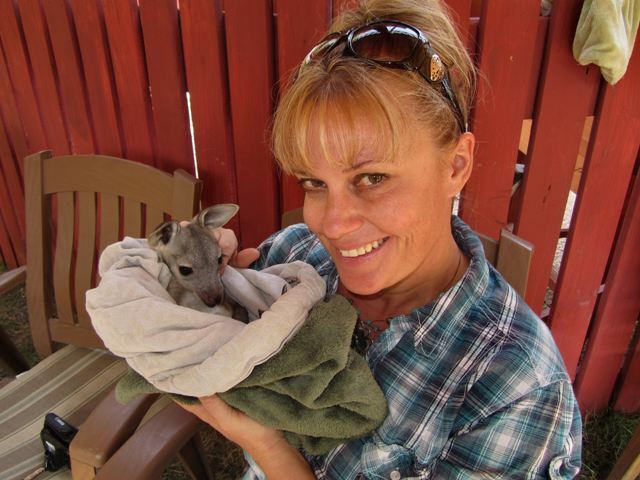 How can you top getting to carry a baby kangaroo? YOU CAN'T! That's why the Kangaroo Creek Farm tops our list of 10 great places to take your kids!